ADULTS-ONLY NIGHT AT THE MUSEUM! Discovery after Dark is the Museum’s new adults-only science series designed for the 21+ crowd. This quarterly series kicked off with The Science of Beer on November 8, 2018. 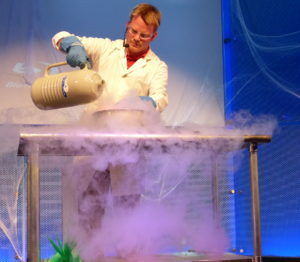 Upcoming events are Kaboom: Explosive Science on April 25, 2019, and Hall of Heroes on July 18, 2019. Event times are 5:30 p.m. to 8:00 p.m. Call 954.713.0930. To purchase tickets online, click HERE. RECEIVE FREE ADMISSION TO A DISCOVERY AFTER DARK EVENT! Become a Friends of MODS member or renew your Friends of MODS membership and receive free admission to a Discovery after Dark event. Click HERE for membership information. SEE WHAT DISCOVERY AFTER DARK IS ALL ABOUT! Click HERE to watch coverage of Discovery After Dark on WSVN Channel 7’s Deco Drive program. Enter the world of superheroes, crime fighters, gadgets and spies! 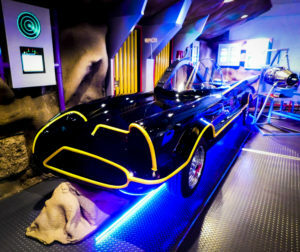 This exhibit combines science and science fiction and features replicas of the TARDIS, the Batmobile and come face to face with the Hulk and Iron Man.